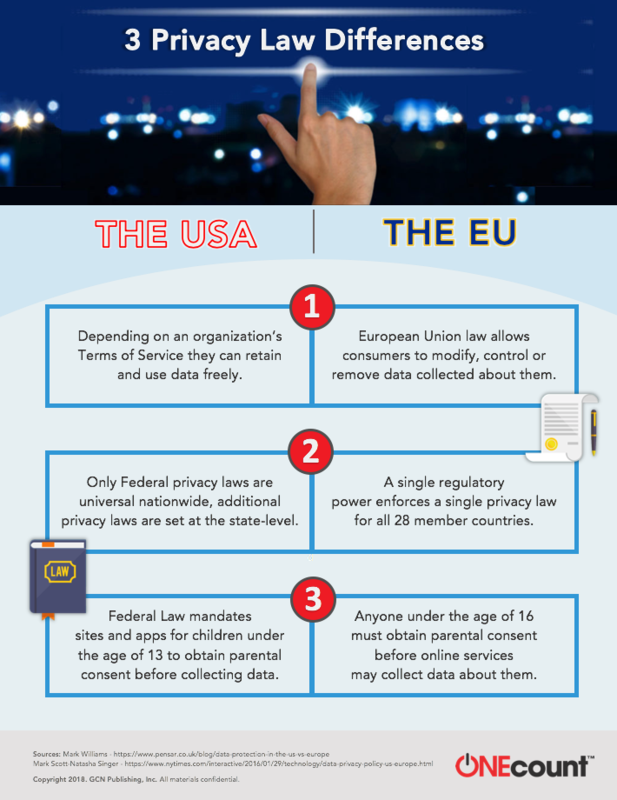 There is more of a difference than just United States’ “opt-out” standard privacy laws compared to the European Union’s “opt-in” standard. ONEcount took a deeper look at each union’s privacy law standards. Check out some of the differences highlighted in the infographic below. Click here for more information about how ONEcount’s solution supports GDPR compliance. 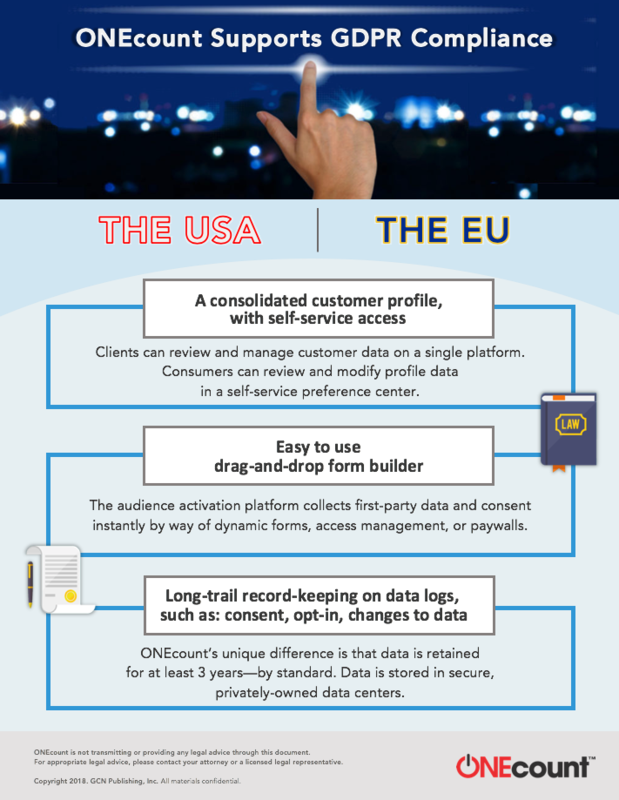 Click here for more information about how ONEcount’s solution supports GDPR compliance. This entry was posted in Smart Briefs and tagged customer data, data regulations, data security, EU, european union, GDPR, infographic, smart brief. Bookmark the permalink.